Law # 1. 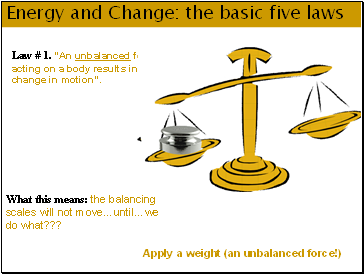 “An unbalanced force acting on a body results in a change in motion”. What this means: the balancing scales will not move…until…we do what??? What this means: The wheel will continue to spin and spin and spin…until…what??? We unbalance it (here, with brakes). 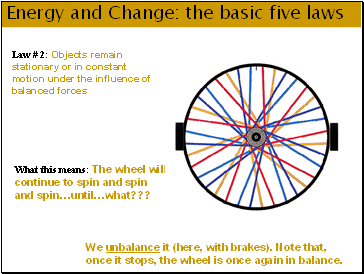 Note that, once it stops, the wheel is once again in balance. 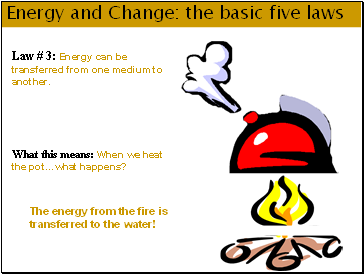 Law # 3: Energy can be transferred from one medium to another. What this means: When we heat the pot…what happens? The energy from the fire is transferred to the water! 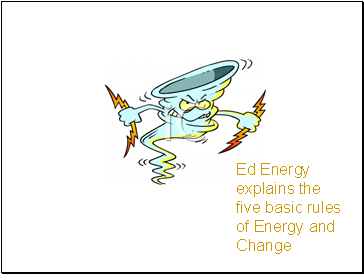 Law # 4: Transfers of energy can vary according to the medium in which it travels. 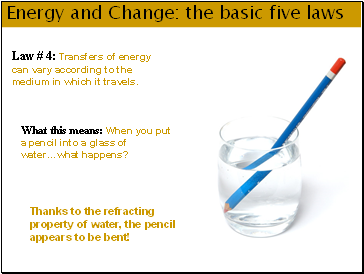 What this means: When you put a pencil into a glass of water…what happens? Thanks to the refracting property of water, the pencil appears to be bent! 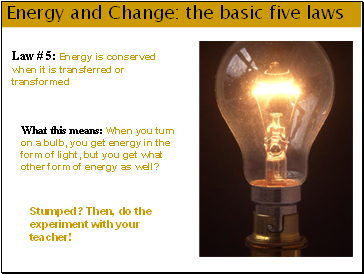 What this means: When you turn on a bulb, you get energy in the form of light, but you get what other form of energy as well? Stumped? Then, do the experiment with your teacher!